If there's one thing comics does, it's shuffle creative teams and characters on books. Marvel and DC are probably the best known for this, with their decisions guided by the notion that readers will respond and talk. And while it's true that fans do talk, there's something to be said about checking out a book and knowing what to expect. 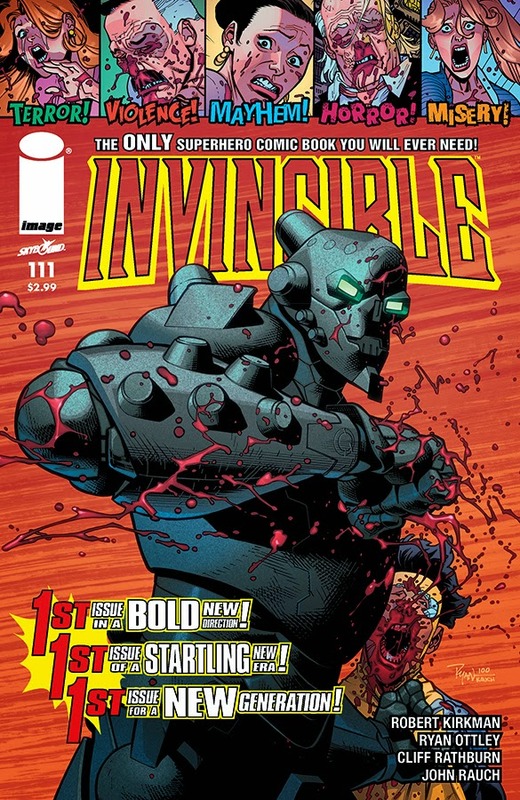 Invincible #111 by Robert Kirkman and Ryan Ottley will feature the departure of a major character and new challenges for Mark Grayson. The expectation of those events has led the first issue to be sold out and sent to a one-time second printing. First launched in 2003, Invincible is the longest-running and most successful modern superhero comic in publication, consistently delivering real thrills that simply can't be matched by other titles. Invincible #111 is the opening shot of a new era and, despite its consistency and creativity, Invincible remains under-ordered within the Direct Market. Invincible #111 provides a perfect opportunity for new readers to discover the series and for current fans to double down on their enthusiasm. Invincible #111 returns to press to meet customer demand and this one-time-only second printing (Diamond Code APR148250) will be available on June 18. Invincible #112 hits shelves the following week, on June 25 and will be available for pre-order with Diamond Code MAR140578. This will be the only printing of this issue. Full press release below.